Hello! And thank you very much for welcoming me to the blog today. 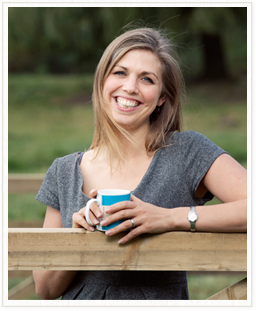 I’m Fiona, one of Lisa’s regular blog readers as well as one of the people behind the design of Lisa’s blog and website (my company, Flourish, has worked with Lisa for a number of years on her marketing and design). 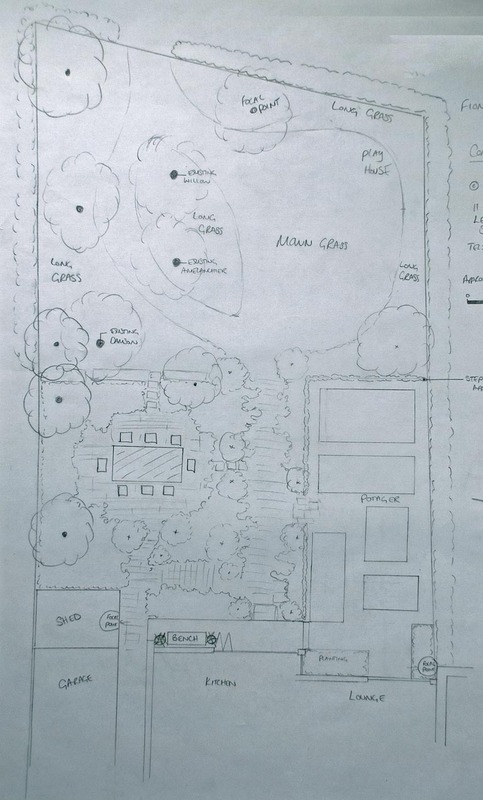 My husband and I recently worked with Lisa on our garden design and as (fingers crossed) those plans are about to come to fruition Lisa has asked me to share the journey with you. We live in a pretty Surrey cottage with our two children. My husband is a police officer for the Met and I work part time in my design and branding business. Whilst we both have quite hectic lives, we love to spend time outside gardening. We both like to grow vegetables and I love to have enough cut flowers to bring into the house throughout the year. Our children want space to make mud pies, kick a ball about and go on adventures with their friends. The usual stuff really. 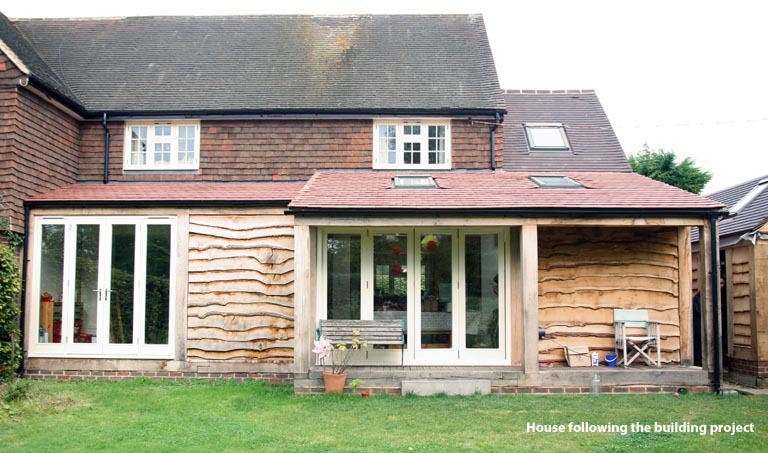 We’ve recently had some quite big renovations done on our home – an oak framed extension, completely gutting the inside (which we are still DIY’ing), replacing the horrible UPVC windows with lovely wooden ones and generally adding the character and soul back into the house. This year the builders are back to add a garage and convert the loft and then we will be done, with the building works at least. And once the building works are done we can finally turn our attention to the garden. 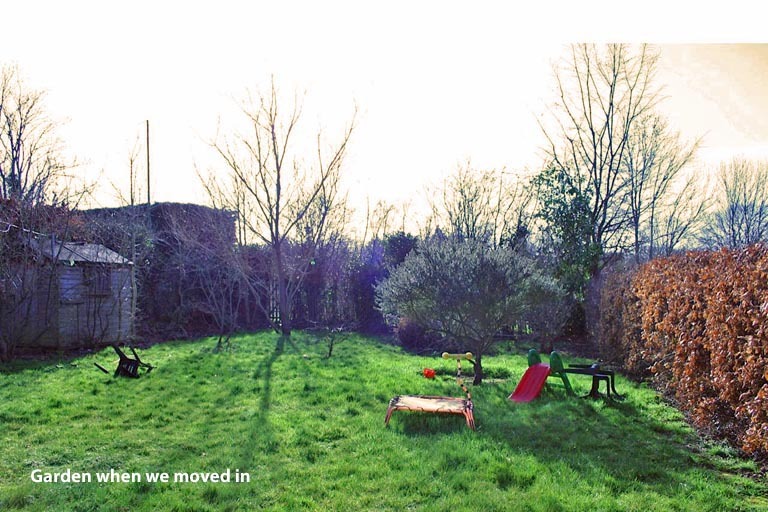 When we moved in the garden was in a really sorry state. Apparently the last owners only used to cut the grass twice a year! There were a couple of half dead looking shrubs and a few scrappy trees. 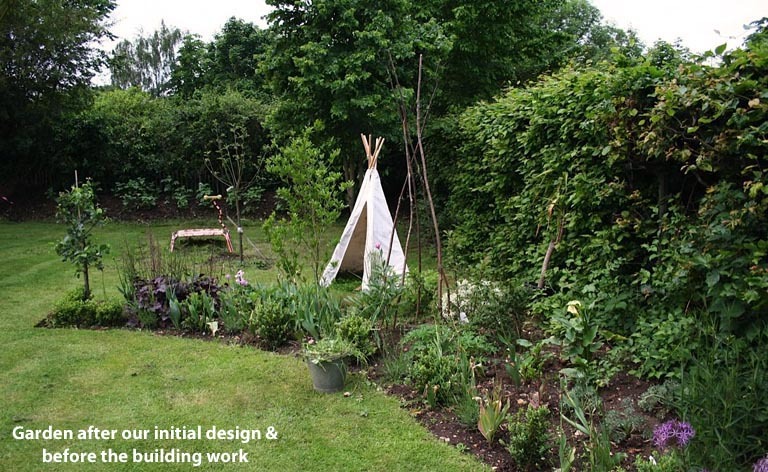 We immediately started making plans and created a couple of lovely looking borders as well as installing a play area for the children and a veg patch and cutting garden. Pretty as the garden is, it really isn’t working for us as it might. The biggest patch of lawn is surrounded by my precious flowers – not very practical for four year old boys and their footballs! The veg patch is now under the new extension and the cutting garden became more about weeding out the couch grass that crept in from the grass paths than about anything else (although in our first few years it was very productive). We’ve never really had a nice table and chairs because it was always something we wanted to invest in when we did the garden properly, and we never got round to that because we were waiting for the extension to happen. So we had plenty of ideas about how we wanted our new garden to look: attractive kitchen garden/potager with plenty of structure and beauty (and hard landscaping so we didn’t spend our whole time weeding); a place to sit and eat; somewhere to relax (as my best friend says, “you’re not really patio people”) and somewhere for the children to play without damaging my prize roses. Our problem was that every time we tried to mock up a design it just didn’t feel right. I knew that Lisa would be able to help us achieve what we were after and we both liked the fact that we could stay involved in the design process. Over a glass of wine Lisa chatted to us about what we wanted from the garden, the ideas we’d had and what was important to us about how we use the space. That was really important because we both felt that she’d understood us. After a bit of boring measuring up she sat at our kitchen table and started to sketch out ideas. I was really blown away by how much thought goes into the process. From the size of the patio (dependent on how many people we entertain) to creating paths that are both beautiful and practical, Lisa created exactly what I had in my head, only oodles better. We are both so excited about the design that she’s created and literally can’t wait to put it into practice. 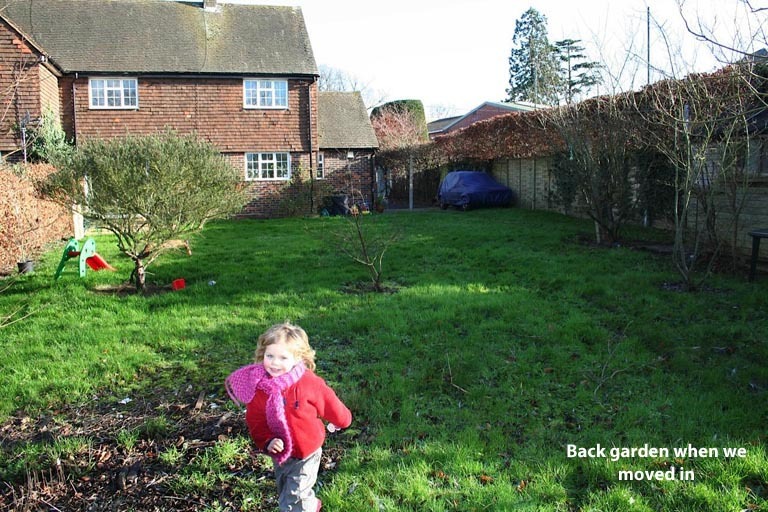 I love the path that looks ramshackle and a bit old – just how we like our house! And the patio that’s a bit secluded so feels very intimate and homely. I love how she’s given us a practical and sizeable kitchen garden and cutting garden and has even managed to squeeze in my beloved pleached hornbeams. We start on the big dig in the next few months (I’m afraid it’s going to be a bit of a DIY job – no glamorous landscapers for us!) and I am desperate to have it all planted up by the Spring. So watch this space! what a wonderful project ! Lisa has given you a fab design as usual! it really compliments the house, don’t worry plants are amazingly resilient I have to cope with hockey balls!